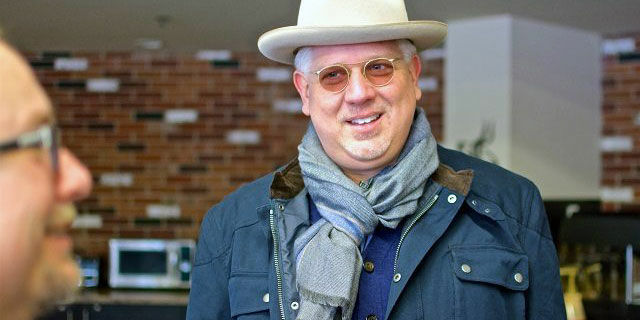 Glenn Beck heads towards well-deserved oblivion. You could argue it didn’t begin with Donald Trump. Or Ron Paul. Or even the Alt-Right. The resurgence of populism and white identity politics began with Glenn Beck. The first time observers started to see the rising Middle American Revolution was in 2010 at Mr. Beck’s “Restoring Honor” rally. An estimated 87,000 overwhelmingly white Americans gathered on the mall, for a purpose no one could really define. Was it a religious revival? A celebration of patriotism? An expression of outrage? Each attendee and speaker had a different answer. The late Christopher Hitchens noticed what the participants themselves had missed: the way “racial feeling” was denounced “so monotonously and vehemently.” The contradictory and muddled rhetoric of the Tea Party and the conservative movement wasn’t something worth analyzing for its own sake, but it was a sign European-Americans were groping toward something new. In a rather curious and confused way, some white people are starting almost to think like a minority, even like a persecuted one . . . [A]lmost every European country has seen the emergence of populist parties that call upon nativism and give vent to the idea that the majority population now feels itself unwelcome in its own country. The ugliness of Islamic fundamentalism in particular has given energy and direction to such movements. It will be astonishing if the United States is not faced, in the very near future, with a similar phenomenon. Quite a lot will depend on what kind of politicians emerge to put themselves at the head of it. Saturday’s rally was quite largely confined to expressions of pathos and insecurity, voiced in a sickly and pious tone. The emotions that underlay it, however, may not be uttered that way indefinitely. It would be a stretch to say Glenn Beck had much of a philosophic impact on the rise of white racial consciousness. But Hitchens was right about Mr. Beck’s influence in two important ways. First, when the Tea Party was at its height, Mr. Beck captured a nostalgic yearning for a White America, as exemplified in those tens of thousands of Americans who would show up wearing Revolutionary War costumes and waving copies of the Constitution. They were expressing a reactionary sentiment that perhaps is best expressed as “Make America Great Again.” Mr. Beck exemplified that incoherent emotion which would find its avatar in Donald J. Trump: the desire for European-Americans to feel like they had a country again. Second, Mr. Beck was a true pioneer in new media. He was seemingly finished after the anti-white activist group “Color of Change” got him fired from Fox News. The Blaze, the subscription-based network Mr. Beck created in response, was a stunning example of how to create an audience large enough to support a network outside the control of television producers and thereby overcome attempts at SJW censorship. Of course, Mr. Beck’s ideological confusion and almost baffling ignorance meant he could never be counted on when it came to issues like immigration. But there was nothing inevitable about his current uselessness. Consider that Sean Hannity supported amnesty in 2012 but is now a Trump partisan. To be a White Renegade is to be someone who could have done great good for his people but instead deliberately caused harm. And so it is that in 2016, Mr. Beck receives this dishonor not just because he didn’t lead the rising populist movement, nor is it even because he opposed Donald Trump. It’s that Glenn Beck consciously and purposefully made common cause with those who wish us harm. And the worst part is I still can’t fully explain why. At the beginning of 2016, Mr. Beck’s stance was easy enough to understand. He enthusiastically backed Texas Senator Ted Cruz in the primaries and condemned Donald Trump as not a “true conservative” because of his supposed friendliness to Democrats and stances on issues such as eminent domain. This alone does not make Mr. Beck a “traitor” or even someone particularly unique in the conservative movement. There’s even a case to be made that Mr. Cruz was to Mr. Trump’s right on immigration. Rather than a real nation with a real identity, to Mr. Beck the United States is a Cargo Cult in which sacred totems such as “the Constitution” have the power to bind a nation together, without regard to the ethnic makeup of the population. Around this period, not surprisingly, the left-wing media that had always made fun of Mr. Beck suddenly developed a strange new respect for him. In early March, Mr. Beck was brought on ABC’s “This Week” with George Stephanopoulos to compare Mr. Trump to Adolf Hitler and denounce nationalism. It was an early sign of what would become the dominant theme of Mr. Beck’s 2016. The more he was shown to be out of touch with what ordinary Republicans wanted, the more the elite media gave him a platform to denounce Mr. Trump and the GOP. Indeed, as Mr. Trump rolled towards the nomination, Mr. Beck began to see his mission not so much as to change the minds of his fellow conservatives, but to insult them. In early May, after Mr. Trump had all but clinched the nomination, Mr. Beck denounced his own country as a “petulant child” that would be punished by God for supporting Mr. Trump. The very reason the primaries were so prolonged, he claimed, was so no state could escape this divine wrath. Mr. Beck then defended Facebook’s censorship of conservatives and called the right-wing pushback against the company a “Salem Witch Trial.” He finished the month interviewing novelist Brad Thor, musing along with the author about when a “patriot” will “step up” to “remove” Trump if he exceeds his authority. One can’t imagine Mr. Beck sitting by if a guest made a coy reference to assassinating President Obama. By August, Mr. Beck had abandoned all pretense of being a voice for the Right. He existed solely to denounce Republicans and to shill for the establishment press. When Donald Trump hired Breitbart chairman Steve Bannon to be his campaign CEO, Mr. Beck called him a “horrible despicable human being” and “quite possibly the most dangerous guy in American politics.” He speculated that Mr. Bannon might be using the “frightening” “Dark Web” to hire assassins to knock off his enemies. Needless to say, even as Mr. Beck grew more conspiratorial, he achieved more and more access to elite media. After the massacre, I invited several Black Lives Matter believers on my show. I got to know them as people—on and off air—and invited them back again. These individuals are decent, hardworking, patriotic Americans. We don’t agree on everything, certainly not on politics; but are we not more than politics? I refuse to define each of them based on the worst among them. No movement is monolithic. The individuals I met that day are not “Black Lives Matter”; they are black Americans who feel disenfranchised and aggrieved; they are believers; they are my neighbors and my fellow citizens. Of course, Mr. Beck showed no such sensitivity towards the white American conservatives he called “brownshirts” and “racists.” Nor did Mr. Beck explain how black Americans “who feel disenfranchised and aggrieved” will be won over to the “classical liberalism” he preaches. Finally, as far as blacks being his neighbors, Mr. Beck bought a $3.9 million house in Westlake, Texas in 2011 in an overwhelmingly white neighborhood surrounded by people who make an average of more than $200,000 a year. One wonders if he ever sees a black person who isn’t one of the highly paid tokens of Conservatism Inc or a mascot for virtue signaling. Mr. Beck would eventually endorse Evan McMullin, whose entire candidacy was defined by the desire to start a war with Russia and complaints to the media about the “deep problem” of insufficient belief in equality. Mr. McMullin, often confused with a popular breakfast sandwich, would ultimately finish behind Hillary Clinton even in his home state of Utah. Calling Steve Bannon, of all people, a promoter of “neo-nationalist, neo-Nazi, white supremacy [ideas],” is to adopt the same standards as the most unhinged columnists from some nut house like Salon.com. Mr. Beck repeated these charges in adoring interviews with the likes of CNN’s Anderson Cooper. But apologies for “tearing each other apart” go only one way. Have there been any mea culpas from the Left for their attacks on whites? Has the Left responded to the election with a call to consider the grievances of European-Americans? Hardly. The mainstream media, the cultural elite, and most of the Democratic party are instead trying to delegitimize the next president, something they would call treasonous if Republicans were undermining a Democrat. Behind this entire campaign is the implied premise that white voters are somehow illegitimate, as Miss Bee suggested, and Mr. Beck endorsed this contempt for whites. Mr. Beck must understand this, though who knows what he actually believes? In 2010 he famously described himself as a “radio clown” and The Blaze as an “entertainment company.” “If you take what I say as gospel, you’re an idiot,” he said. This is the mentality that gave him the means to pay for his $200,000 Mercedes, his private jet, and his stuffed, life-size polar bear. One can understand, if not excuse, someone who sells out his people for money. It’s harder to explain someone who sells out his people for his own humiliation. But Mr. Beck may not be tormenting us much longer. He began 2016 in a feud with the CEO of his own company. By October, the company was described as in a “free fall,” with massive layoffs and benefit cuts for his remaining employees. As Mr. Beck crusaded against his own constituents, his website’s traffic plummeted. He seems to recognize his influence may have ended on the American Right. But he is still stubbornly attacking the only people who ever gave him a hearing. Mr. Beck began the year by proclaiming himself the defender of true conservatism and then became the liberal media’s attack dog against Mr. Trump’s Republican Party. Now Beck ends the year having essentially endorsed the concept of white privilege, Black Lives Matter, and the illegitimacy of European-American political aspirations. As the market for cuckservatism continues to decline, Mr. Beck will become ever more dependent on mainstream media attention and patronage. We have every reason to expect Mr. Beck’s truckling to increase as he grows more desperate. This is cause for optimism. Mr. Beck was, whatever we think about him, an important figure in the history of the American Right. He paved the way for white populism. He paved the way for independent media. And now, he is serving as the harbinger for another historic development. For decades, American conservatives have profited by disdaining their own base, denouncing European-Americans in exchange for the head pats from their enemies. Mr. Beck is the first major figure for whom this strategy has not led to increased prosperity and prestige, but to collapse and humiliation. Perhaps Glenn Beck has something to teach white advocates. In the Current Year, denouncing white racial consciousness isn’t a path to power and influence, but to irrelevance. At his peak, Glenn Beck pointed the way to a new era for an emasculated American Right. And now, in his spectacular self-destruction, he’s doing it again, showing us that cuckservatism is the past, and racial consciousness is the future.